In his published account of the war Churchill was famously candid about his response to Pearl Harbor. 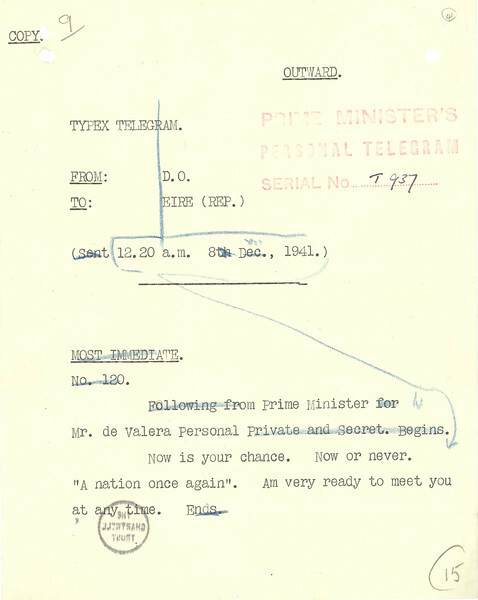 He also described how he sent this telegram to the Irish Prime Minister, Eamon De Valera. Ireland, with its long history of struggle against Britain for independence, had chosen neutrality. Churchill now offered alliance, but on this occasion his words went unheeded.